St Nicholas was visited on 18th May 2017 by Mr John McCann, a Section 48 Inspector from the Shrewsbury Diocese who spent the day visiting assemblies, RE lessons, talking with students, staff and governors. 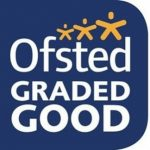 I am delighted to share the wonderful news that he agreed with our own self-evaluation that St Nicholas’ overall effectiveness as a Catholic school is outstanding. St. Nicholas lives its mission statement. There is unequivocal and explicit evidence that the Catholic mission of the school is a priority, along with opportunities for spiritual and moral development and collective worship. This is most clearly evidenced through the appointment of an effective dedicated lay chaplain whose impact is acknowledged throughout the school at all levels. 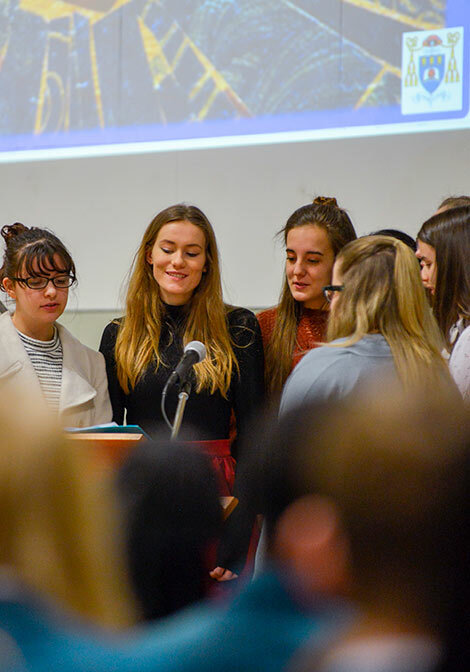 The standard pupils achieve at GCSE RE are consistently well above national average and girls’ performance at the highest levels is in line with the outstanding standards achieved in other core subjects. Staff are overwhelmingly proud to be members of the school, and believe the school to be well led and managed. Outcomes for pupils are good, the provision for Catholic Education, leadership and management in the development of the Catholic life of the school are confirmed by this inspection as outstanding.